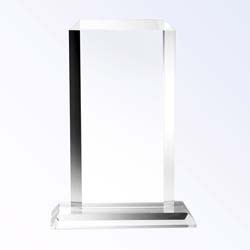 Simple, yet sophisticated, the Crystal Simple Plaque Award is well-suited for all occasions. Three sizes to choose from: 7', 9", or 11" high. Each piece includes a premium presentation box.